Saturday, December 29, at La Dolce Vita, in Ceglie M. (BR - Italy), there will be the second edition of "La Messapica", an event that, from sunset to sunrise, will gather, in a single ronda, the tangueros from Puglia and those coming from the other regions of Italy and from abroad. To obtain an appropriate balance between the roles of leader and follower and, respecting the style of each one, aim to guarantee a proper homogeneity in the quality of the dance. - To guarantee both a correct navigation on the floor and the comfort of each tanguero, the number of participants will be limited to a maximum of 120 people. Participation includes a single option at a cost of € 25. - shuttle service (if necessary). Net of expenses, part of the proceeds will be donated to the Italian Association of Bone Marrow Donors (ADMO). Francesco Pantalone and Salvatore Papa. 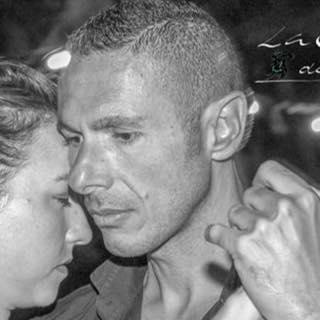 - 21:30-03:00: milonga with TDJ Salvatore Papa. La Dolce Vita Ballroom is located in Ceglie Messapica (BR - Italy), Via Degli Emigranti (without a house number). On request, a shuttle service (not included in the price of the event), will be arranged, both for the movements from the hotel/B&B/apartment to the venue and vice versa, and, possibly, to&from the airports/railway stations of arrival/departure. The group "La Messapica" is made by all those who, by sharing the same passion for tango, will have the pleasure to meet, from time to time, in a purposely organized event, where there will be an appropriate balance between the roles of leaders and followers, good musicalizadores will alternate in the console and a relaxed atmosphere will allow you to share hugs and smiles from the afternoon to the morning.